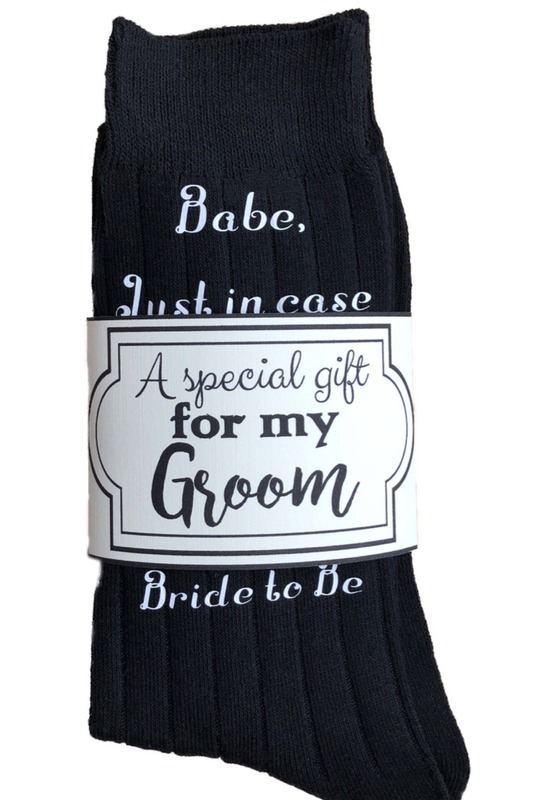 Such a cute and funny gift for your groom that will put a smile on his face! 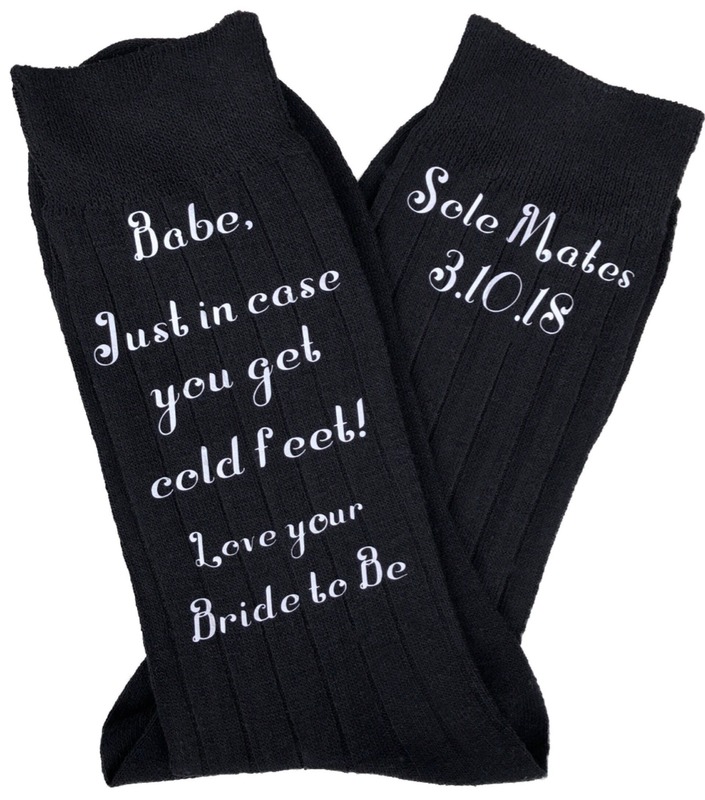 Add wedding date to the note section at check out. 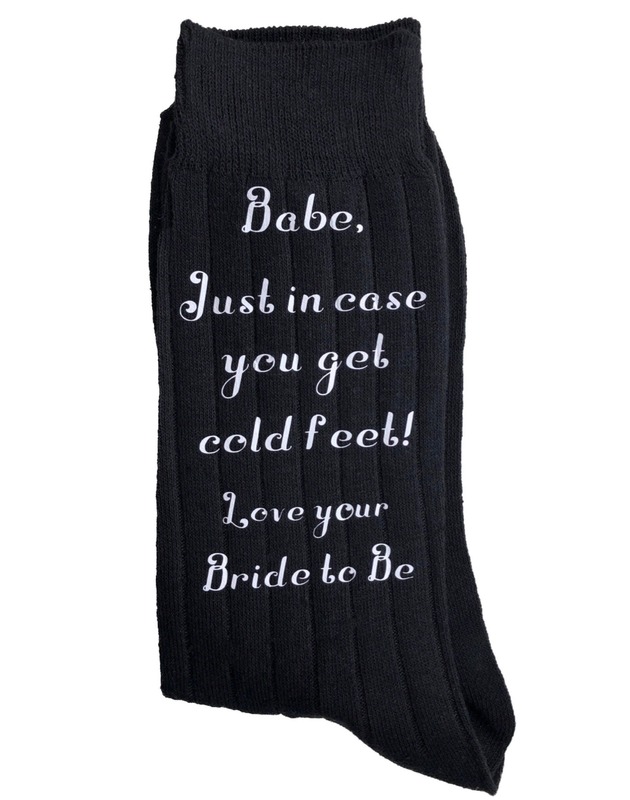 I bought these socks to give to my fiance on our wedding day. They are perfect!